Handcrafted top-grain 14 oz. 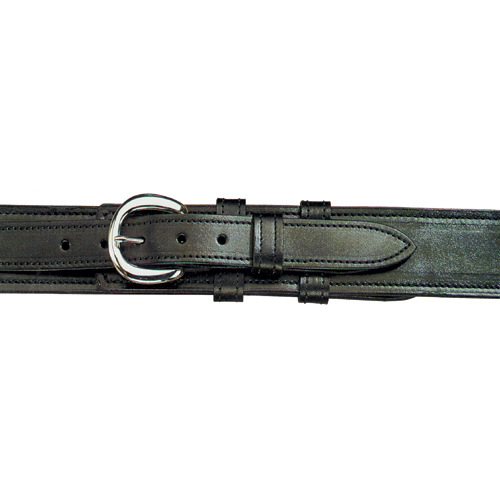 cowhide, 2 1/4" billet-style, fully lined, lock-stitched (including keepers) with nickel or brass buckle. Black only in plain or basketweave. Belt sizes 48 and larger add $6.00 per size. Belt sizes 60 and larger call for pricing and availability.